Many adults enjoyed playing team sports as kids and hope that their children will do the same. Being part of a team can benefit children not only physically but socially, as well. Childhood is a time of great growth -- physically, emotionally, and socially, and happy participation in team sports offers kids opportunities to further their development in all three areas. While participation will certainly help kids with all of the above goals, there are additional benefits that the kids may not consider. Parents and coaches know that being part of a team fosters a sense of belonging, important for all children, but especially for older kids and teens. Social acceptance and positive attention is important to all people, even surly adolescents who may not outwardly express their desire to fit in. With good coaching that focuses on more than just winning, kids learn many valuable life lessons while playing team sports. Learning to win with grace and lose with dignity, take on leadership roles, play by the rules, and work with others in order to achieve a common goal are all skills that kids will need throughout their lives, far beyond the sports arena. Future success in relationships, career, and community involvement can all benefit from the lessons learned by children as members of sports teams. Not all children are comfortable to play as part of a team, but parents should provide support and encouragement for those who are. Additionally, while kids should never be forced to join teams, parents should ask about the reasons that their children may be reluctant to see if their concerns could be addressed and problems remedied. 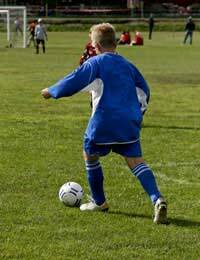 Sometimes, shy kids or those who feel less athletically capable than their peers may hesitate to enroll in team sports and while the children's feelings need to be honoured, parents should let their children know that if they change their minds, they can always try at a later date. In the meantime, parents must see that all of their children participate in some type of exercise, making suggestions for individual sports such as swimming or martial arts. Clearly, participating in team sports can be good for kids and teens. With childhood obesity at an all time high and health care experts voicing serious concerns about the future of today's kids, parents should do all that they can to see that their children get regular exercise and develop healthy attitudes about the importance of physical activity. When combined with healthy diets, participation in team sports can help to start kids on the road to lifelong health and fitness.